For your child care center, a professional website can be the perfect starting point to an internet marketing campaign. It can help establish expertise, overcome possible objections, detail the services offered, explain the benefits, and even help the parents imagine their child attending that center. As a result, by the time the parents have contacted you they are already half way to choosing your center. In order to feel comfortable, parents need to trust your child care center and the providers who work there. A quality website can help build this trust by establishing expertise with informative articles and helpful tips. It can also highlight the qualifications, years of experience and training of the staff members. Parents will know that your center employs only the most highly qualified personnel to care for their child. As a part of an internet marketing campaign, a website can be very useful for overcoming the most common objections that parents may have. Your child care center can highlight such factors as the ratio of child to staff, low staff turnover, safety record, licensing, accreditations, and reliability. Your website can even offer promotions that can help overcome concerns regarding affordability. Detailing the services that are offered can also help presale your child care center. Parents do not want to waste time investigating a center that cannot meet their needs. Websites can provide the parents with information such as age groups, hours of operation, educational philosophy, curriculum, and costs. It might also highlight any nontraditional services such as extended hours or sick care. Before parents pick up the phone to call the center, they will already know their needs can be met. A website must also help the parents understand the benefits to attending not only your specific child care center but day care in general. These benefits might include socialization, encouraging learning through exploration and early literacy skills that will give a child an advantage once the he starts school. Parents want inherently to give their child every advantage, and this will help them to see those benefits. As an internet marketing tool, one of the most powerful benefits to having a website is helping the parents to imagine their child happy and settled at your child care center. Providing pictures and describing the typical day including learning centers, activities and play time can really help a parent. Once parents are able to envision their child engaged in these activities, the decision has almost certainly been made. If your child care center does not yet have a professional website, they absolutely must start building one now. This is the information age and many parents turn to it before ever picking up the phone or considering a visit. It will help establish expertise, overcome objections, highlight services and benefits. It may even prompt the parent to see their child in that environment. When this happens, the odds are strong that this will be the center of their choice. To compete in today’s market place; your small business needs to take advantage of the opportunities the internet has provided for those serious about marketing. However, that does require a plan, which incorporates a professional and attractive website and a thorough knowledge of both the target market and the competition. You must also have a way to analyze the results of the marketing. Following such a plan will go a long way toward ensuring successes. In order to be successful, your internet marketing plan must follow a plan and use four key elements: a professional website, a complete knowledge of both the target market and the competition, and defined and easy ways to analyze the results. This plan can provide your child care center with a way to focus on the goals. It can also guide your business in how to use the tools available. For your small business embarking on an internet marketing plan, a professional website must be at the center. First, it gives the parents somewhere to view accurate information that will impress them and reassure them that yours is the right center. Keep in mind that the content and the graphics should be related to the child care center and engaging to the parents. The site should also be convenient, easy to navigate and quick to download. Contact information is also a must. Before implementing an internet marketing plan, it is a good idea to do some basic research on the potential clients of your child care center. Surveys can help by revealing what services parents need and want. Do they need specialized services such as longer hours or sick child care? Also important, is knowing what the education and income level of the average parent in the area. Are they blue collar or white collar? This kind of information can help your center not only customize your services but your marketing strategies as well. Your internet plan has to include a thorough knowledge of your competition. What services do they offer and what are their rates? In addition, where and how are they advertising? If they seem to be doing something that is working, try to emulate it or improve on the concept. Keeping an eye on their advertising can also help your child care center counter any specials with one of your own. Keep in mind that it is all about value and convincing the parent that the best value is not at the competition. One of the advantages to using an internet marketing plan is it can provide numerous ways your small business can capture data. This data can be used to drive future decisions. As a result, it is imperative to find and use those websites and those email providers that can provide such information. This information should include number of visitors, pages downloaded, emails read, link backs followed, etc. If it can be determined what is working and what is not, then changes can be made to your plan. With the right elements, an internet marketing plan can help your child care center succeed. These elements include a professional and attractive website, knowledge of both the target market and the competition, and the right tools to analyze the results. Leave even one of these out and the success of your center may suffer. That is just not something any small business can risk in today’s economy. 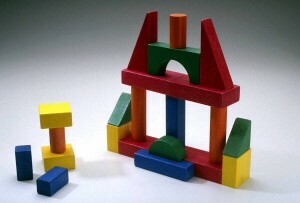 Daycare marketing involves understanding the competition and the needs of your community. Finding gaps in services provided by other local businesses helps define a great online marketing plan. In addition to an informative website with great content, start a blog to gain trust and promote your business. Use free local directories where customers can write reviews, and be creative. Daycare marketing involves getting familiar with the competition. This will help you identify opportunities and gaps in service. Search the internet for local providers in your area and see what they offer. Make a note of the sites that link to them. Contact the webmasters of these sites and suggest that they link to your business as well. The more sites that link to your site from reputable sites, the higher you rank with the search engines. Pay attention to the specific values of your customers. Is there a trend? Are most of your customers concerned with quality over price, or are they mostly looking to spend less money? What are some of their key concerns? Successful daycare marketing begins and ends with identifying a target customer and learning what they are looking for. Read comments and reviews from other daycare businesses in the area to improve your online marketing strategy. This next step in your daycare marketing plan uses the information you collected from steps one and two. Say you learned that most parents in your community care more about quality than cost. Use this information to create content for your website that focuses on the professionalism of your staff. Remember to include the name of your business in the text of your site and not just on the logo and always list your URL address on emails. In addition to developing a well-targeted, creative website, think about starting a blog. This is a great way to share your services and gain trust with potential customers. Remember to create backlinks from credible sites to both your webpage and your blog to increase exposure to your site. List your business on free sites like Google Places and other local directories. Take advantage of this free real estate and make it a priority to stay up to date with technology. Google Places, for instance, makes it is easy to reach customers on the go with mobile coupons! Your daycare marketing strategy should not be limited to classified ads and websites. Use the internet to your advantage. For instance, send newsletters to customers who have provided emails. Add that special touch by sending e-cards for birthdays to both kids and parents. Make sure to talk up promotional activities on your child care blog. Customer testimonials and reviews also add to your online marketing plan. Don’t be afraid to send out emails with links to your Google Places listing and ask your happiest customers to write a few words. The best online marketing involves several different things. For daycare marketing, it helps to research both the customer and the competition. 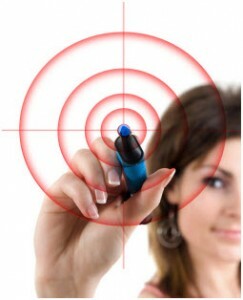 Focus on getting your business noticed and be proactive about advertising. Use social media to build trust and get the word out about your business. Add special touches like sending e-cards and coupons to customers. Follow a strategy that relies on great customer service. Take advantage of the internet for exposure and your daycare marketing strategy should soar. Purchase anxiety is natural for any purchase, but choosing the right preschool can result in additional stress. After all, a child is a parents’ most precious possession. However, your center can help reduce this anxiety by offering a guarantee, answering all questions, establishing expertise, building connections, and using testimonials. Combining all of these can really help reassure parents that your preschool is the right one for their child. Most purchases come with some type of satisfaction guarantee, but parents do not frequently think in these terms for preschools. However, offering a guarantee can go a long way toward reassuring a parent, because it says that your preschool is sure of the quality of services you provide. Try offering a one-month trial period with a money back guarantee. Coupling this with an open-door policy will help reduce purchase anxiety. Preschools need to provide parents with as much information as possible, because unknowns can increase purchase anxiety. Either on your website or in a brochure, your preschool can spell out in detail policies, expectations, and daily routines. Try to anticipate any possible questions or objections. Address them in a section on frequently asked questions. Parents will have their fears reduced and feel like they are not alone in this process. Lack of trust is a major source of purchase anxiety for parents looking for the perfect preschool. Your center can help relieve these fears by establishing your preschool and team as experts. Your website can help by including informative articles that cite credible sources. This lends the credibility of the source to your daycare. Your website should also include bios on your staff and any licenses, certifications or awards. Another way to help build trust is for preschools to actively seek to building connections with the parents. An automated email system can help by establishing an immediate response to a parent’s inquiry. It can then send out regularly scheduled emails that can drive the parents back to your website. A daycare also needs to encourage a two-way dialogue, because the more parents feel like they know your center, the less anxiety they will have. Parents need to hear and see for themselves that your preschool can meet the needs of children in a happy and safe environment. Testimonials are an effective way to do this. This is a real, live parent vouching for your center. It is especially true if the testimonial includes a picture and a full name. Also, consider including pictures of children playing at your center. This will help reassure parents and will enable them to envision their child there. Let’s face it – choosing the right preschool for a child is a scary decision for most parents. However, there are steps you can take to help relieve this type of purchase anxiety. You can provide a guarantee, answer all questions, establish expertise, build connections, and use testimonials. Doing so will go a long way toward convincing parents that your preschool is the right preschool for their child.